Hydrogen fuel cells have a long way to go before they're ready for the market. Still, General Motors' fuel cell research and development center in Honeoye Falls has served as a high-profile tech industry in the Rochester area. But last week, GM announced that it will shut down the lab and transfer the technical work to the automaker's Pontiac, Michigan, powertrain facility. GM spokesperson Kim Carpenter says the move is so GM can consolidate its technical expertise. General Motors employs approximately 220 people at its Honeoye Falls facility. Some — it's not clear how many — will be transferred to the Pontiac plant, Carpenter says. She says she expects the transfer to be under way by the first quarter of 2013. The Rochester academic and business communities had embraced the lab. 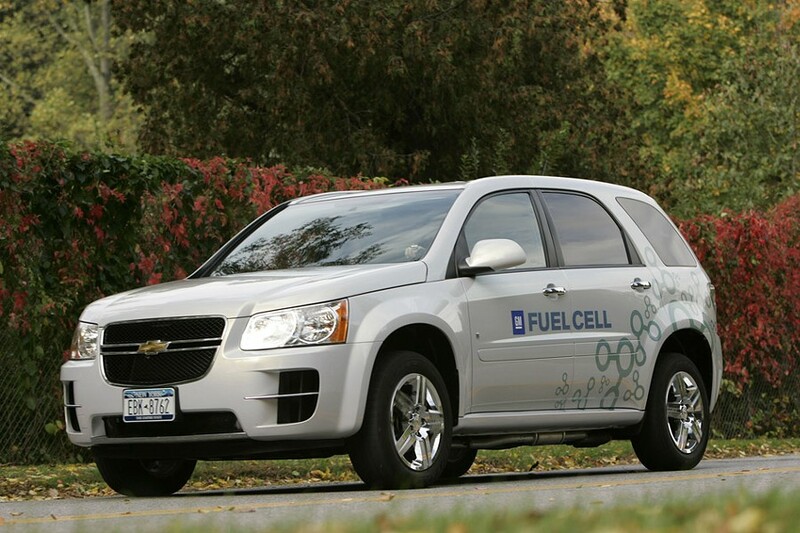 In the past, researchers at University of Rochester and Rochester Institute of Technology worked with the Honeoye Falls staff on various fuel cell and hydrogen fuel technical issues. RIT continues to study hydrogen combustion engines, but has no ongoing projects with General Motors. Monroe County officials also worked with the center to test a Chevrolet Equinox fuel cell vehicle prototype. "Obviously, I'm disappointed," said County Executive Maggie Brooks. "This is a company we've held up as an example of high-tech in Rochester." Politicians have publicly and aggressively pushed for federal research funding. When the US Department of Energy planned to cut funding for vehicular hydrogen fuel cell research from the federal budget, local Congressional and Senate officials protested. Some funding was restored. Brooks tried to make the plant closure an issue in her race against incumbent Democrat Louise Slaughter for the 25th Congressional District seat. Brooks criticized Slaughter for announcing federal fuel cell funds in April, but remaining silent on GM's decision. Slaughter's campaign fired back, pointing out that the money she announced in April was for a Department of Defense solid-oxide fuel cell program at Delphi in Henrietta. And that the GM facility isn't in Slaughter's district and isn't in the newly-drawn 25th District.